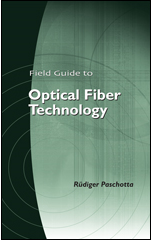 The RP Photonics Buyer's Guide contains 43 suppliers for waveplates. Ask RP Photonics for advice concerning polarization optics and their use. Optical waveplates (also called wave plates or retarder plates) are transparent plates with a carefully chosen amount of birefringence. They are mostly used for manipulating the polarization state of light beams. A waveplate has a slow axis and a fast axis, both being perpendicular to the beam direction, and also to each other. The phase velocity of light is slightly higher for polarization along the fast axis. The designed value of optical retardance (difference in phase delay for the two polarization directions) is achieved only in a limited wavelength range (see below) and in a limited range of incidence angles. The most common types of waveplates are quarter-wave plates (λ/4 plates) and half-wave plates (λ/2 plates), where the difference of phase delays between the two linear polarization directions is π/2 or π, respectively, corresponding to propagation phase shifts over a distance of λ / 4 or λ / 2, respectively. When a light beam is linearly polarized, and the polarization direction is along one of the axes of the waveplate, the polarization remains unchanged. When the incident polarization does not coincide with one of the axes, and the plate is a half-wave plate, then the polarization stays linear, but the polarization direction is rotated. For example, for an angle of 45° to the axes, the polarization direction is rotated by 90°. When the incident polarization is at an angle of 45° to the axes, a quarter-wave plate generates a state of circular polarization. (Other input polarizations lead to elliptical polarization states.) Conversely, circularly polarized light is converted into linearly polarized light. Within a laser resonator, two quarter-wave plates around the gain medium are sometimes used for obtaining single-frequency operation (→ twisted-mode technique). Inserting a half-wave plate between a laser crystal and a resonator end mirror can help to reduce depolarization loss. The combination of a half-wave plate and a polarizer allows one to realize an output coupler with adjustable transmission. Many waveplates are made of crystalline quartz (SiO2), as this optical material exhibits a wide wavelength range with very high transparency, and can be prepared with high optical quality. Other possible materials (to be used e.g. in other wavelength regions) are calcite (CaCO3), magnesium fluoride (MgF2), sapphire (Al2O3), mica (a silicate material), and some birefringent polymers. True zero-order waveplates are so thin that the relative optical phase delay between the two polarization directions is just π, for example, for a half-wave plate. While this is the ideal case, the thickness of true zero-order plates can be inconveniently small, particularly for strongly birefringent materials such as calcite, so that the fabrication becomes difficult and the handling delicate. The latter problem can be eliminated by cementing (or bonding) a zero-order plate to a thicker glass plate, which is not birefringent but provides mechanical stabilization. The resulting interface, however, leads to a lower damage threshold such as 10 MW/cm2. Multiple-order waveplates (= multi-order plates) are made so that the relative phase change is larger than the required value by an integer multiple of 2π. Although the performance at the design wavelength can be essentially the same, the optical bandwidth in which the plate has roughly the correct relative phase change is limited. Also, the retardance has a higher temperature sensitivity. Low-order waveplates are multiple-order plates with a relatively small order, keeping the mentioned detrimental effects low. - Effective zero-order waveplates (or net zero-order waveplates) can be made from two multiple-order plates with slightly different thicknesses, which are cemented or optically contacted, or air-spaced for application with higher optical power levels. The slow axis of one plate is aligned with the fast axis of the other plate, so that the birefringence of the two plates is nearly canceled. The difference in thickness must be adjusted to obtain the required net phase change. Such devices can work in a broad wavelength range. It is also possible to make achromatic waveplates, combining materials with different chromatic dispersion (e.g. quartz and MgF2), which can have a nearly constant retardance over a very wide spectral range (hundreds of nanometers). Also, there are dual-wavelength waveplates, which have well-defined retardance values at some discrete very different wavelengths. Such features are sometimes required in the context of nonlinear frequency conversion, such as frequency tripling. The materials should have a high transparency in the wavelength region of interest. The sensitivity of the phase retardance to temperature and angle depends on the design. High-quality waveplates exhibit a uniform retardance over the full open aperture, or a large portion of it. Surface reflections can be disturbing, and may be reduced with anti-reflection coatings. The optical damage threshold can be important for applications in pulsed laser systems. Some waveplates are provided with a housing which makes it easy to rotate the plate by a well-defined angle, and/or to see the orientation of the fast and slow axis. For some applications, it can be difficult to obtain a waveplate fulfilling all the requirements. Therefore, one sometimes has to use alternative methods, for example for turning the polarization direction of a laser beam. For example, a 90° rotation of polarization (and also the beam profile) can be obtained with a combination of three 45° mirrors, subsequently deflecting the beam to the right, then upwards and finally into the original direction. Fresnel rhomb retarders and other types of prism retarders have the same basic function as waveplates, but exploit polarization-dependent phase changes during total internal reflection. This principle allows broadband (achromatic) operation. A Babinet-Soleil compensator, essentially containing a pair of birefringent wedges, can be used as a waveplate with a variable degree of retardation. There are various types of fiber polarization controllers with similar functions. Electro-optic crystals and liquid crystal devices can be used to make electrically controllable waveplates, also called active retarders.